Xiao Xiao arrived in the OR waiting area for her surgery in tears. She just had dental work completed and was in a bit of pain. 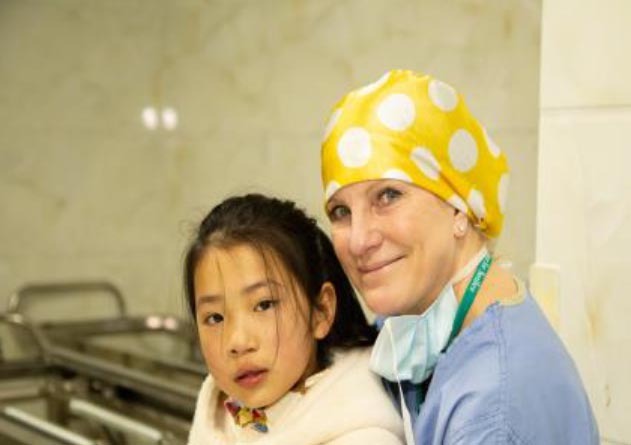 Now, she needed to continue being brave to walk up to the operating room for her cleft lip repair. 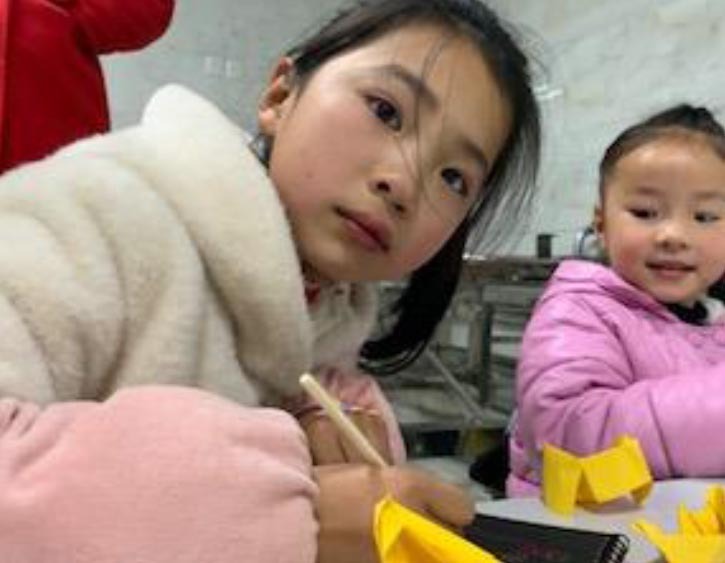 While Dr. Gad went back to make sure the room was ready for her, the staff at the hospital gave her and her little sister paper to make origami. Christine Felix, one of our OR nurses, spent some time with her while waiting. By then, Xiao Xiao started to feel more relaxed. Dr. Lynn Chan, one of our anesthesiologists, came out to bring Xiao Xiao in for surgery. It was time to go. She waved and said bye to her family. Then, she grabbed Dr. Chan’s hand and left. The remarkable job nurses and doctors do is reflected not only in the surgery room but in moments prior to it that makes a big difference in a children’s life and their families. Above is a of Lily, one of the PACU nurses, carrying a girl back to her parents after surgery.